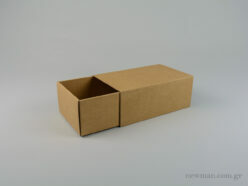 Ecological and economical sliding box, matchbox type, durable, neat and sturdy. 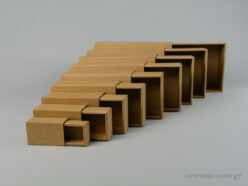 Available in 10 sizes, with the smallest (No1) in dimensions 37x60x25mm and largest (No10) 154x249x97mm. 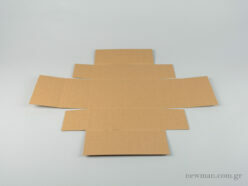 The boxes are available either folded or open (flat, unfolded). You can purchase them flat and then fold them whenever you need them. Instructions on how to fold the boxes are provided together with the purchase. The boxes can be ordered in other dimensions upon request.